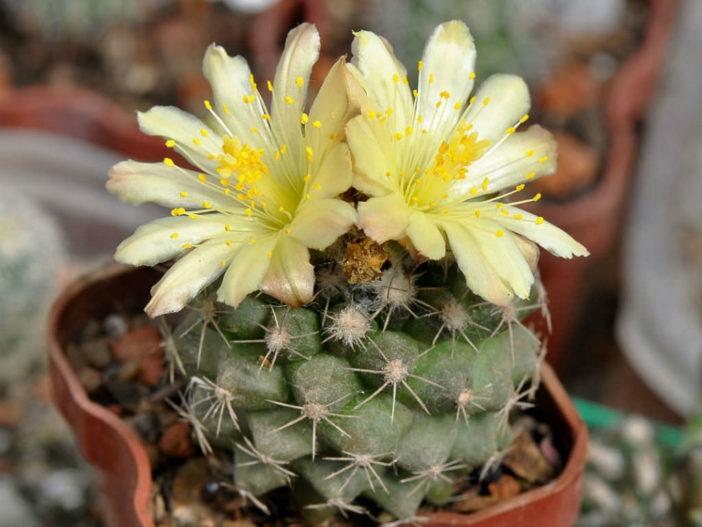 Copiapoa humilis is a very small, low growing cactus, usually clumping at the base, but sometimes solitary. The stem is pale olive-green to tan, subglobular, depressed, somewhat soft, producing copious wool in the apex, up to 2.4 inches (6 cm) tall and up to 3.6 inches (9 cm) wide. Young stems are purple-red to almost black. The spines are grayish-white to yellowish to black. 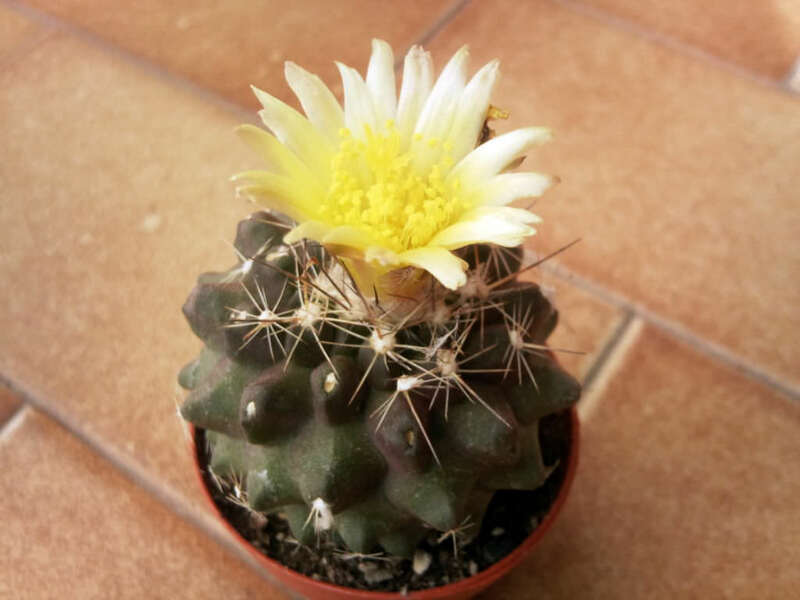 The flowers are sulfur yellow and up to 1.6 inches (4 cm) long. 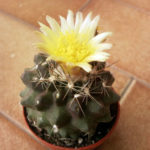 Despite the extreme and specific conditions in habitat, Copiapoas as a whole are surprisingly easy in cultivation. From seed sewing to the care of mature plants, this genus is very forgiving. 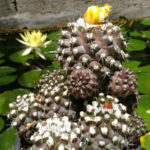 While staying manageable in size, Copiapoa in cultivation will flower from a young age and reliably so each following year. 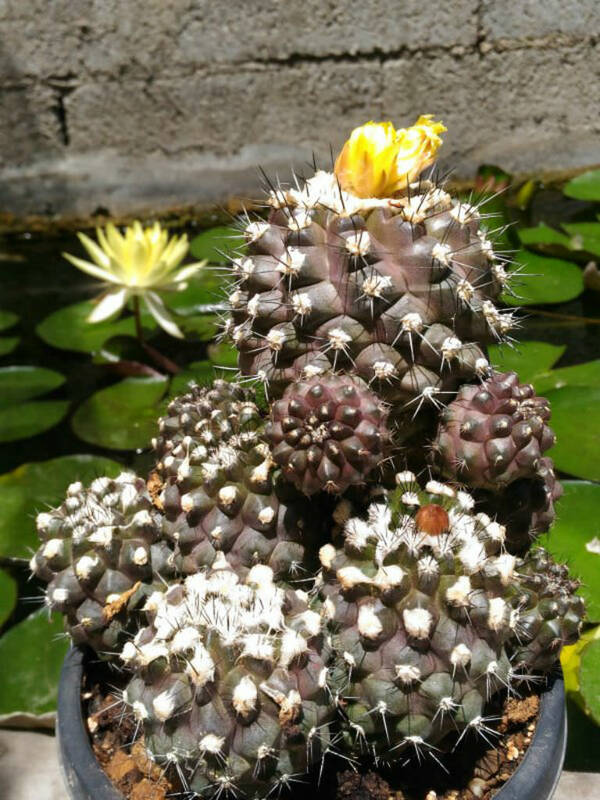 These cacti want exposure to half or full sun. If they are in full sun, they must be in a position with good air circulation or they risk sunburn. Watering should be extremely poor. The soil must dry out completely between waterings. They should, however, be suspended during mid summer. In this period instead of watering it will be appropriate to spray the plant early in the morning, before the temperature warms up, thus simulating the conditions that they would have in their natural environment. Copiapoa humilis is native to Chile.